How do entrepreneurs overcome fear? It’s a question I get a lot. The answer is this: They never really do — but they learn to manage it, and come to appreciate the rewards of pushing past it. That’s why I’ve created the list below. I hope each gets you thinking about new ways and reasons to act boldly. Fear is powerful, sure, but it doesn’t have to be paralyzing. People say they like to push boundaries, but they rarely push those boundaries. They like the idea of change more than they like change. They call themselves risk-takers but always play it safe. You know the difference between successful entrepreneurs and everyone else? They don’t just flatter themselves with talk of their bold hearts and daring intentions. They make hard, necessary, real decisions. They produce things nobody has seen before. They push and they scrape and make holes in the wall. I’ve always struggled to understand the disconnect. Why do so many people think of themselves as daring but fail to live up to their own self-­conception? I suspect it has to do with fear. An idea is easier than execution. It’s easier to imagine jumping out of a plane than it is to actually stand there, the ground a bazillion feet below you, and take the leap. That moment — the moment when it’s real, when it’s right there in front of you, when you either act or you don’t — is when we really learn about ourselves. That’s when we see how we fare against fear. "Listen to your customers obsessively. Go look at what they’re actually doing with your product. Sometimes even when a product isn’t working, you’re going to find customers doing things you’ve never thought of. That might be your next product idea." It’s great advice — and truth be told, I hear a version of that a lot. I heard it from the founder of Simplisafe, who launched his home-security business by targeting apartment renters, then reinvented his business after discovering that home owners were his more engaged customer. I heard it from Keith Krach, until recently the CEO of DocuSign, who told me about how he once built a billion-dollar business just by asking a group of potential customers to come together and help him shape a product for them. And the list goes on. Should we fear that something we’re doing won’t work? No. Because once we start doing it, we create opportunities to learn, and we attract people who can teach us. So here’s a question worth asking, then: While you’re serving your audience, are you also set up to really listen? We often see super-successful people and assume they have something we don’t. No. They just failed a lot on their way to success. They took a long road — and all we’re seeing is the final mile. “I think that some people assume that I woke up one day and just wrote a book that became a surprise best-seller. But I had more than 15 years of experience in the publishing and media biz, and so many book ideas I pitched never went anywhere. 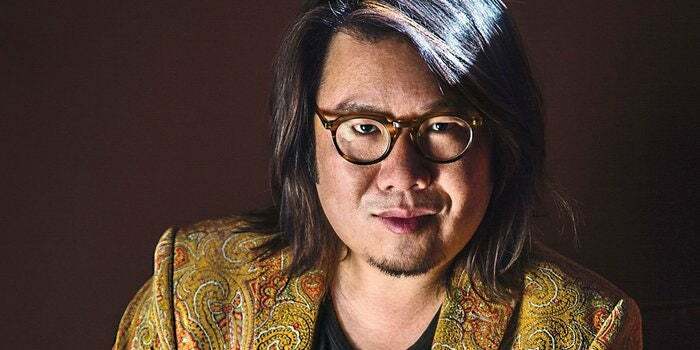 I took every lesson and used every contact to create the Crazy Rich Asians trilogy and to give it a fighting chance in the marketplace. I feel strongly that there really are no shortcuts, and you have to put in the hours — the years, actually — to make something a success." There’s your formula for success: Years and years and years of no success. Know why food in sports arenas is so damn expensive? It isn’t just because you’re a captive audience (though that’s part of the answer). It’s because of the way concessions contracts work. A concessionaire pays a sports team millions of dollars up front for the rights to sell in the arena, and also gives the team a hefty split of gross revenue. That means the concessionaire is deep in the hole to start and must make up its loss by, say, selling you a $14 Bud Light. Planet Money has a great story about how the Atlanta Falcons decided to rethink this system. The team’s goal was to improve the fan experience. People hate paying those high prices. (I sure do.) So the Falcons created a new kind of concessionaire relationship: The team would pay the concessionaire a management fee but otherwise control everything. Then the team dropped food prices down to what it calls "street pricing"—$2 popcorn, $2 sodas, $3 fries. Fans loved it. But take a guess who didn’t. "The first NFL owners meeting we went to after we announced it, there were other teams that were mad — I mean, really upset with us," the Falcons COO told Planet Money. "’What are you doing to us? Why are you guys doing this? You know, this is a big revenue stream for us.’"
But the Falcons did it anyway. The result: Way happier fans…and a 53 percent increase in food sales. Which is to say: The other NFL owners were resisting change because they thought it would hurt them, but they hadn’t actually explored the benefits of change. Isn’t that basically everyone’s biggest problem? We hold on to what we know, even though it very well might be worse than the thing we don’t know. Next time you find yourself doing that, remember the Falcons. 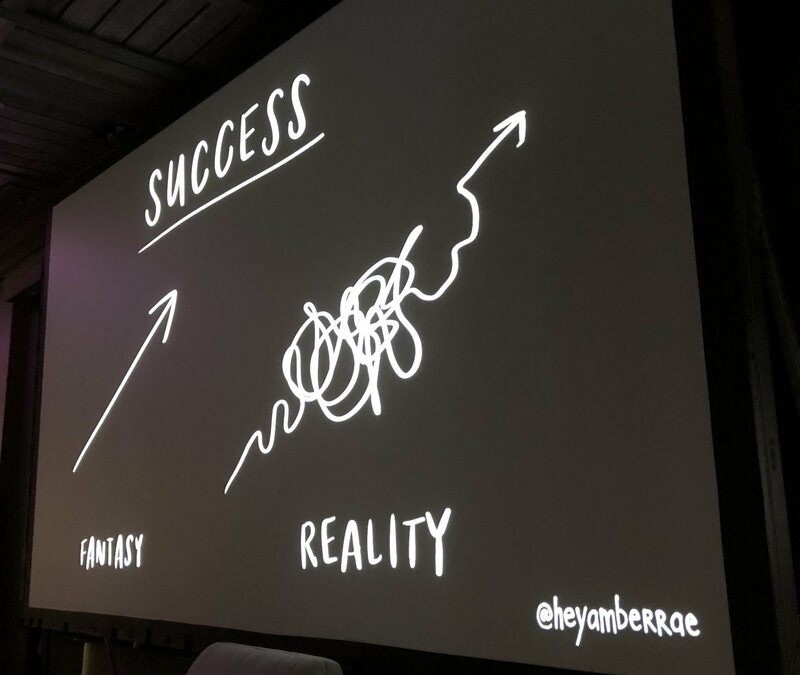 What you see above is a slide from my friend Amber Rae‘s presentation at our recent Entrepreneur Live event. The slide is Amber’s visualization of success. On the left is our fantasy of success: a straight arrow going up. On the right is the reality of success: an arrow going every which way, crossing into and over itself dozens of times, looping and zigging and making a million mistakes on its path upward. As soon as the slide came on, I leapt out of my seat to photograph it. This really is the greatest visualization I’ve seen of what the "right" path looks like. People often ask me what advice I’d give my 20-year-old self. It’s a version of what you see above. I’d say that no pathway is straight, and that the greatest opportunities are almost certainly going to be the ones you didn’t anticipate or even originally seek out. It’s great to have goals, but I think goals are just a direction to move in. You may not reach them; you may ultimately not want to reach them. Instead, your true goal should be to just maintain momentum — to go where the path takes you, and to be open to discovering new goals along the way. Success isn’t a line. It’s a squiggle. That’s all for this time. 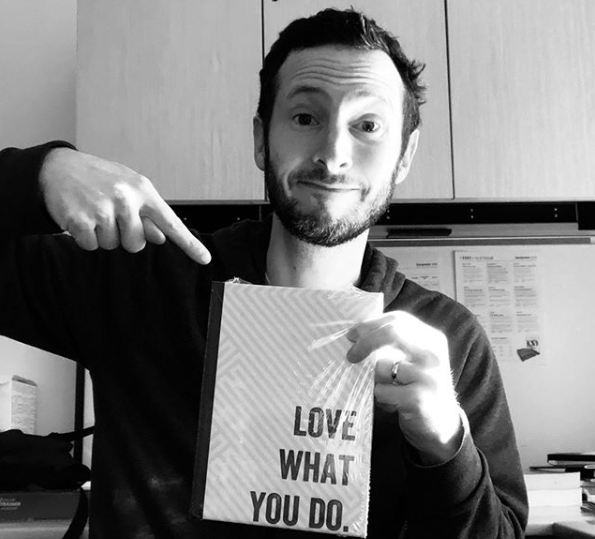 But there’s more where that came from — subscribe here to receive Entrepreneur magazine editor in chief Jason Feifer’s monthly newsletter, The Feifer Five!